and the stories behind them. I have just watched the Queen film, Bohemian Rhapsody, and was amazed by everything! There are some factual exaggerations – including the fact Queen did not sell their tour van to fund their debut album; Freddie Mercury did not reveal his HIV/AIDS diagnosis to the band just before Live Aid in 1985 – but the performances are exceptional and it is great to get a closer look at the legendary band. One of the factual errors arrived when the band were presenting Bohemian Rhapsody to the record label boss, Ray Foster (played by Mike Myers in the film). There are errors and oversights in the film but it is not a documentary – they had to exaggerate some of the truth! The band’s greatest song, Bohemian Rhapsody, must have seemed like a comet from space in 1975. We have not heard anything like it since and it is a song that could only have come from the brain of Freddie Mercury. It is considered one of the finest songs ever recorded and certainly cracks my top-five. I love how it three songs squashed into one and is this quasi-operatic expression. It is one of those songs that should be a benchmark for any ambitious songwriter who does not care about limits, being commercial and following the pack. When it was unveiled to the world, it got some average reviews and very little airplay given its six-minute-plus running time. D.J. Kenny Everitt did play it (numerous times) but very few others would touch it! Things have not really changed a lot now and I wonder whether Bohemian Rhapsody would get played on a big station in 2019. Bohemian Rhapsody did go to sell more than a million copies by the end of January 1976 and stayed at the top of the U.K. charts for nine weeks. It was re-released in 1991 following Mercury’s death and it remains one of the best-selling songs ever. Mercury wrote the song at his London home and one can only imagine what was racing through his mind as he started putting it together. 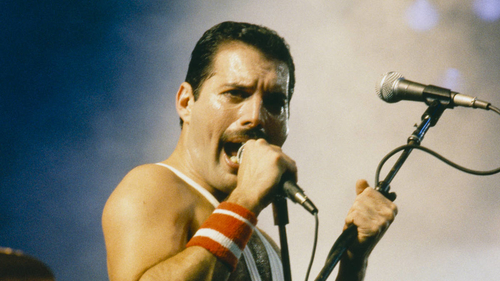 Roy Thomas Baker – who co-produced the song alongside Queen – has said how Mercury played the opening ballad section and then, at a point, stopped to say this is where the Opera comes in! Imagine a songwriter doing that today and it would be met with stony faces. It is one of those songs that was in Mercury’s mind and almost complete before he took it to the band. A lot of Queens songs required a lot of studio time and attention but, in terms of effort and studio demands, Bohemian Rhapsody tops them all! Many have debated what the title refers to but there is that combination of a rhapsody and operatic drama combined with the bohemian artist being an individual. It sounds like a contradiction in terms – if that is the right term?! – but there is a lot of speculation as to what was in Mercury’s mind. I cannot recall whether there has been a song since 1975 that has contained so much ambition, different turns and twists and a big plot – many wonder, again, what the song is about and whether Freddie Mercury was borrowing from his own life. Although the song was completed in 1975, Mercury started writing the lyrics in the late-1960s. Lyrics from older songs were snipped and put into Bohemian Rhapsody. When the band started recording at Rockfield Studio 1 in Wales, they could not have imagined what they would produce and how it would be received. There are rumours Mercury had the song completed in his head before entering the studio and, like a conductor, guided the players and knew exactly how it was going to sound. Mercury, Brian May and drummer Roger Taylor sang their vocal parts for ten-twelve hours a day and it shows how intense things were! Can anyone imagine a modern-day band doing that?! Mercury was determined to get the sound he heard in his head so there was a lot of vocal work! He was very much in control because he wanted it to be as magnificent and grand as possible. One imagines there would have been some tense moments in the studio but all the hard work and hours led to one of the greatest songs ever. Bohemian Rhapsody confused many at the time because it does not have a conventional structure and narrative. The song has no chorus and it was rare to hear a band stray away from love to address subjects as dark as murder and nihilism. From the narrator telling his mother than he’d just killed a man – putting a gun against his head – to the biblical guitar solo that would come, Bohemian Rhapsody is this extraordinary masterpiece that one can endlessly pull apart. Maybe Mercury was taking from his own regrets and experiences. Whether he was talking about confusion and changes or merely penning something fictional, the lyrics are certainly different and very interesting. There is the casual disregard for life – Mercury explaining how nothing really matters anymore – and this very open and honest confession. Before you get attached to this ballad and familiar sound, the song goes semi-operatic and there are a series of harmonic changes. Think of how The Beatles pushed the studio with 1967’s A Day in the Life and The Beach Boys’ Good Vibrations was a revelation; Bohemian Rhapsody was unheard of and it must have been an immense task getting it all laid down! Whether you prefer the fatalistic lyrics, the wall of vocals or the wonderful twists throughout, it is hard to beat the head-banging solo. It was immortalised for Wayne’s World and is one of the most distinctive passages in Rock history. Is it possible to reach that crescendo and release without letting it all go and submitting to the song’s primal and fantastic energy?! In terms of the music and structure, it was hugely progressive and would be imitated by endless Psychedelic-Rock bands. I think Bohemian Rhapsody will never be bettered in terms of its ambition because, now, we want songs to be punchy and many people do not have the patience to sit through a song that is over six minutes in length. Many have studied the lyrics and feel it is Freddie Mercury unveiling childhood fears and harsh memories. Some say the song is straight and direct whereas many others have gone in different directions – will we ever truly know the secrets and truths behind Bohemian Rhapsody?! There are reports Mercury dismissed the song as rhyming nonsense with no personal depth but maybe that was him putting people off of the scent. Musicians, critics and fans heaped praise on Bohemian Rhapsody’s complexities and genius – Brian Wilson was especially blown away and moved. Progressive-Rock definitely had its time and place – before Punk made it unfashionable – and Bohemian Rhapsody must be considered the king of all the genre’s songs. So many other bands laced together strands of songs but nothing touched the majesty and wonder of Bohemian Rhapsody. Maybe Stairway to Heaven from Led Zeppelin – released in 1971 – has that three-part stricture but is nothing like Bohemian Rhapsody. FEATURE: Immune to the Muse: Why Are Women Not Being Booked as Festival Headliners?